RCMP are investigating an alleged robbery at Sunlines, a corner store in downtown Yellowknife. The Sunlines convenience store in Yellowknife was allegedly robbed Tuesday afternoon. Two men in masks allegedly entered corner store in downtown Yellowknife and stole an undisclosed amount of cash Tuesday afternoon, RCMP say. 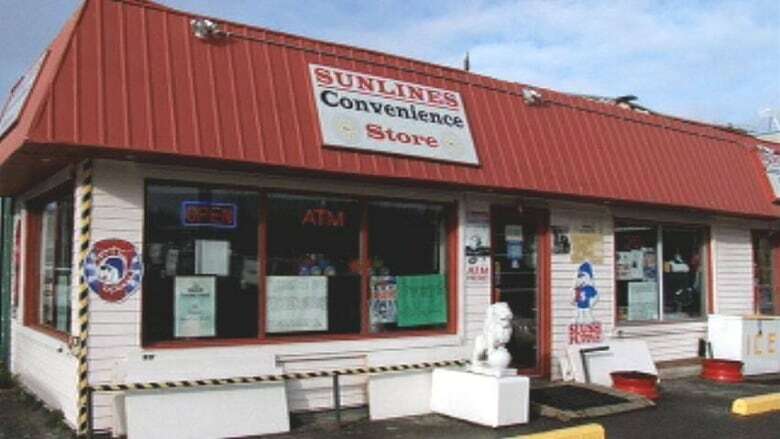 In a release Wednesday afternoon, RCMP said they have begun an investigation into an alleged robbery at Sunlines convenience store at the corner of 43 Street and Franklin Avenue. Police responded around 1:20 P.M., according to the release. The cashier was not physically injured and the suspects fled on foot. RCMP patrolled the area and the Forensic Identification Service assisted with the investigation, according to the release, but no physical descriptions or photographs of the masked suspects are available. The RCMP release noted this is the fourth robbery in the city in 2019, and the third to target a convenience store. "At the time, there is no evidence to indicate any of the alleged robberies are linked," wrote Marie York-Condon in the release. "There is no indication that there is a general public safety risk in relation to the robbery attempts," said York-Condon. "We are thankful there have been no reported injuries in relation to these serious crimes." RCMP are asking anyone with information about the robberies to contact Yellowknife RCMP at (867) 669-1111 or Crime Stoppers at 1-800-222-84777.